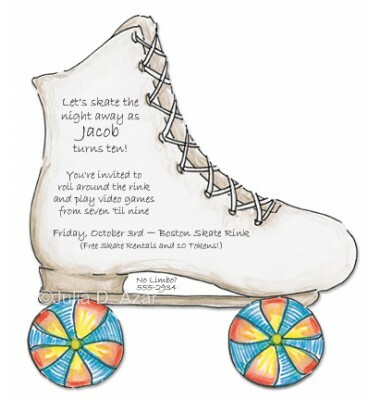 This fun 7" x 10" invitation in the shape of a roller skate comes with interchangeable wheels that spin. 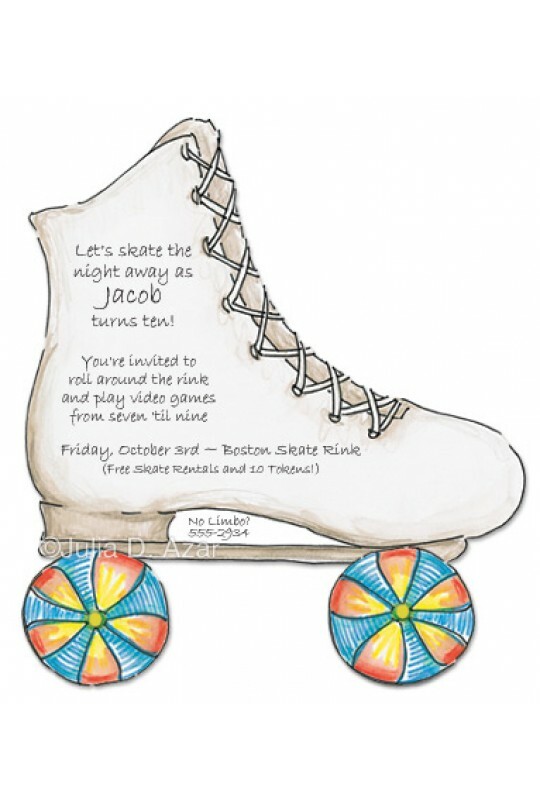 Perfect for birthdays or roller skating theme parties. White envelopes, brads and two sets of wheels included.